Looking for a new construction home but don't want to wait? 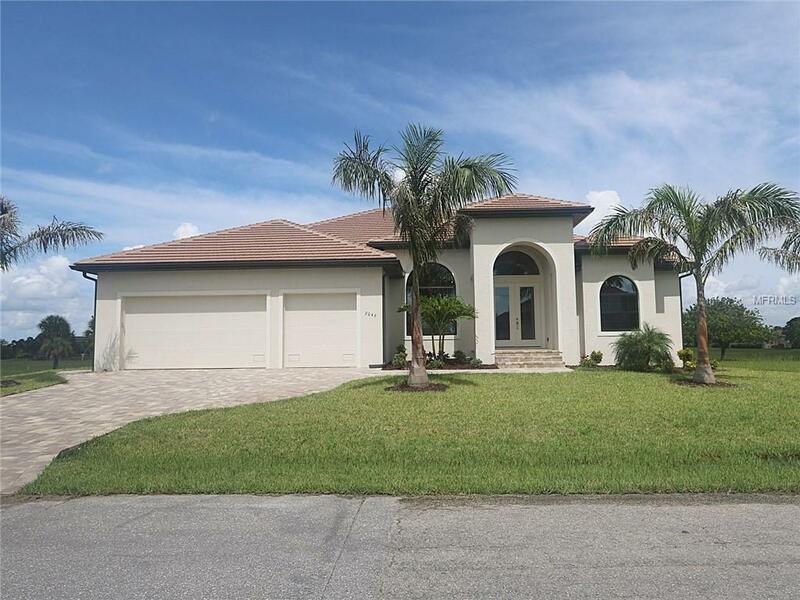 Consider this newly-completed, 3 bed/3 bath + den home w/pool in Punta Gorda Isles w/views of St Andrews South golf course. Home has all the upgrades you'd choose for yourself - porcelain tile flooring, granite & solid wood cabinetry in kitchen & baths & designer hardware & fixtures. 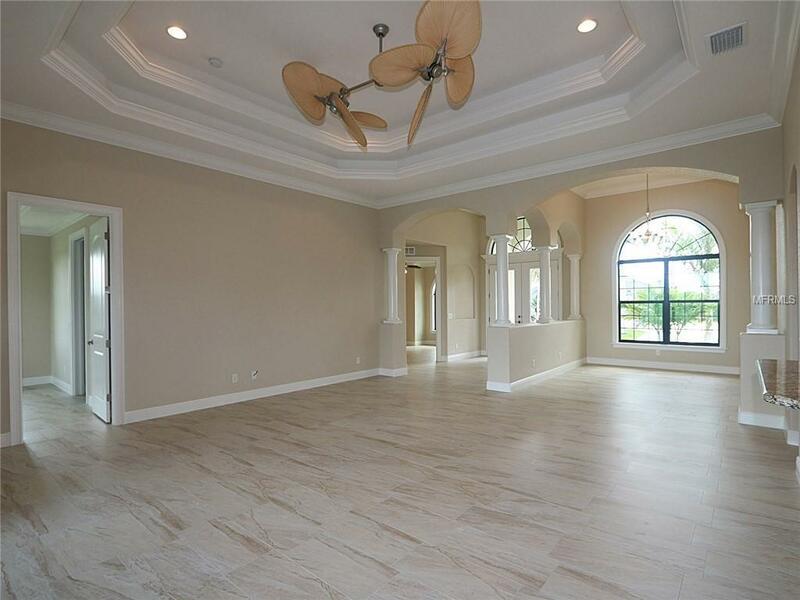 Architectural details include columns & arches surrounding the entry & formal dining, crown molding, tray & double tray ceilings & zero-corner sliding glass doors in the great room that open to the lanai. The kitchen features a breakfast bar, corner closet pantry w/cabinet front door, stainless steel appliances including beautiful range hood & ample cabinet & counter space. 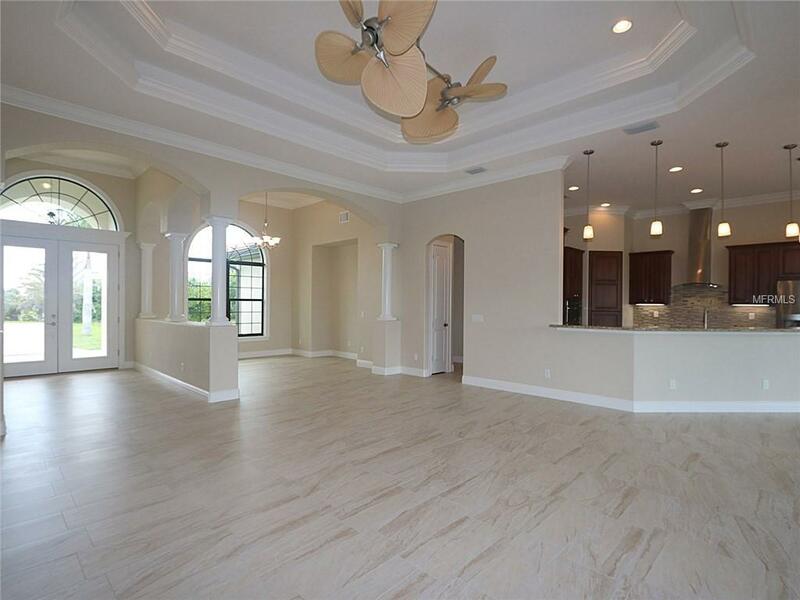 Plenty of room for entertaining w/a formal dining area & large breakfast nook adjacent to the kitchen. The split bedroom floor plan offers a large master retreat w/private bath, two walk-in closets & walk-out access to the lanai. The master bath has dual sinks, a corner tub & separate walk-in tile shower. One guest room offers a private bath w/access to the lanai doubling as a pool bath. Outside, the lanai has an in-ground pool w/attached spa plus a beautiful summer kitchen w/granite counters, stainless grill & outdoor bar. Start living the Florida dream here. Move in today! Other amenities include large, inside laundry room, attached 3-car garage & brick paver driveway. Make an appointment & find your place in paradise. Welcome home!